Round flexible flying disc. 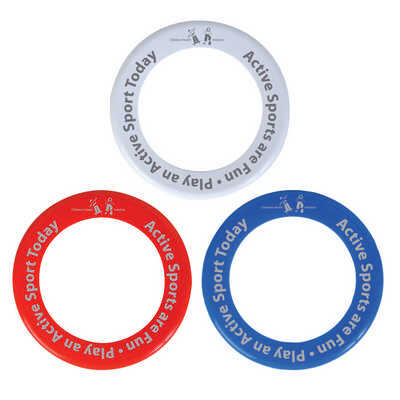 Colours - Blue, Red, White Size - 253mm Diameter (Inside Ring 175mm Diameter) Decoration Area(s) - Screen Print (Max 1 colour print) : Ring - Refer Line Drawing. Price includes : 1 Col 1 Pos Print. Setup is included.